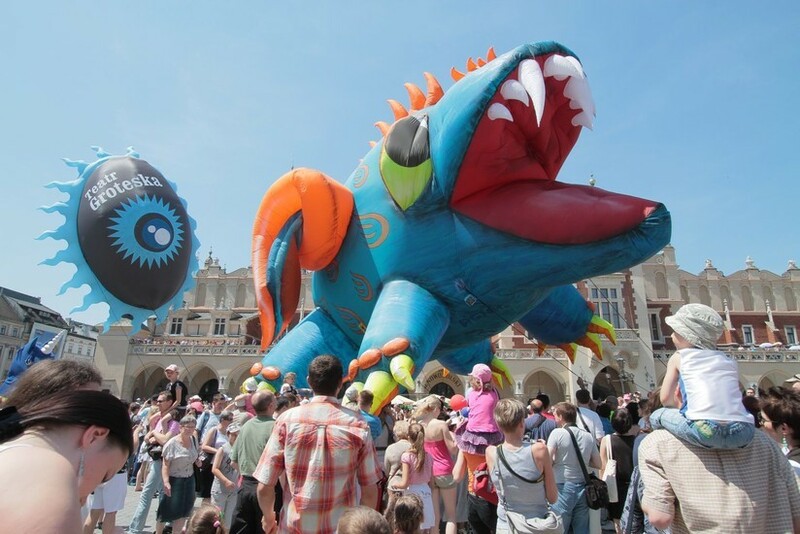 Kraków's most famous legend, the Wawel Dragon, about a dreadful beast that terrorized the city until a brave shoemaker tricked the dragon into devouring a sheep filled with sulphur and mustard seeds which made him drink copious amount of water and as a result burst into million pieces. 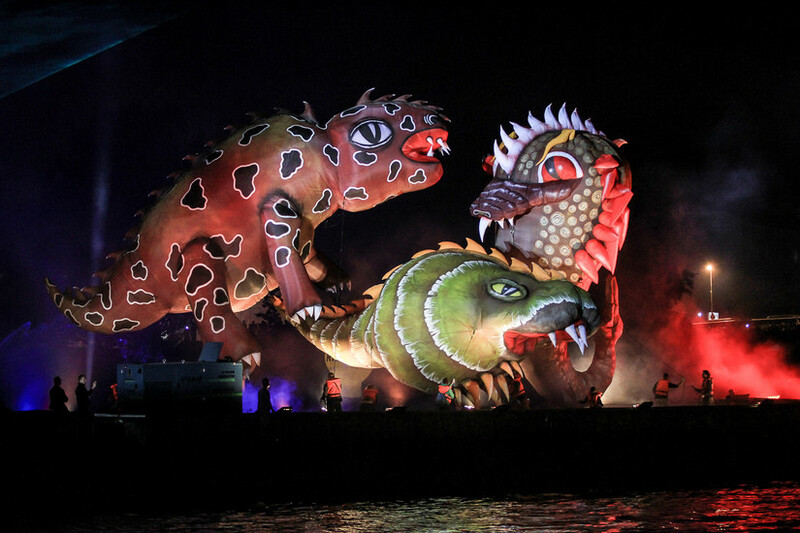 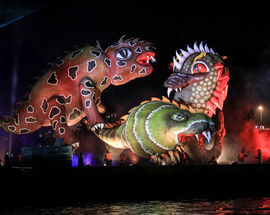 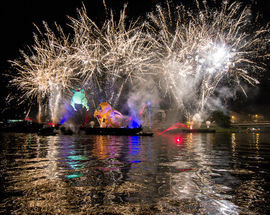 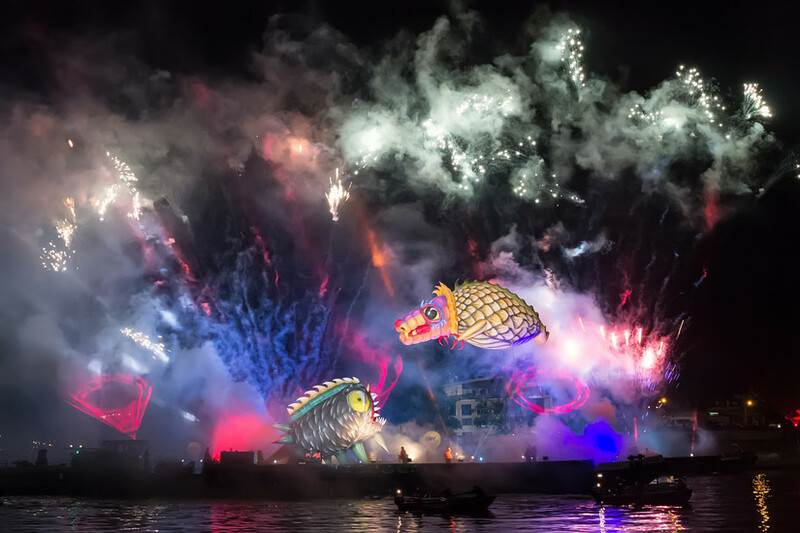 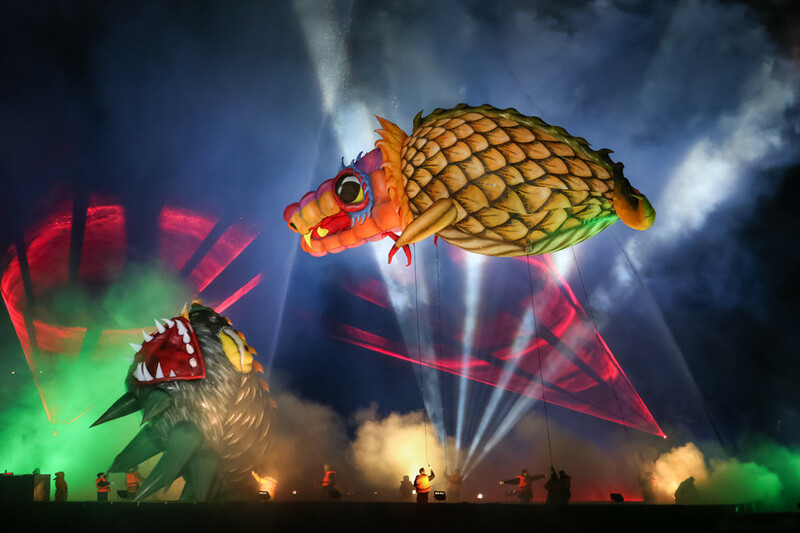 The legend is reenacted by the actors of Groteska Theater using enormous puppets during the spectacular extravaganza on the Vistula river. 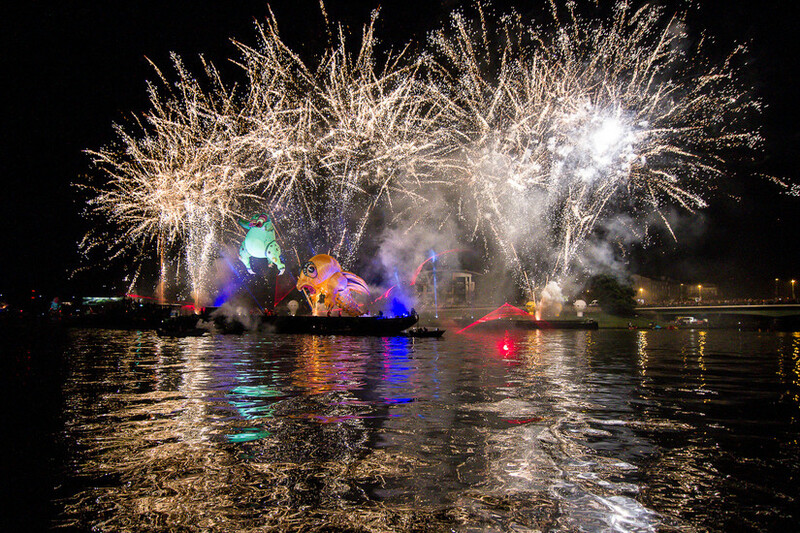 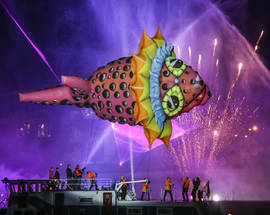 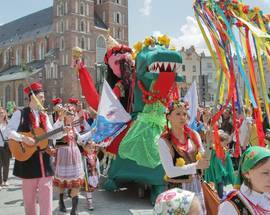 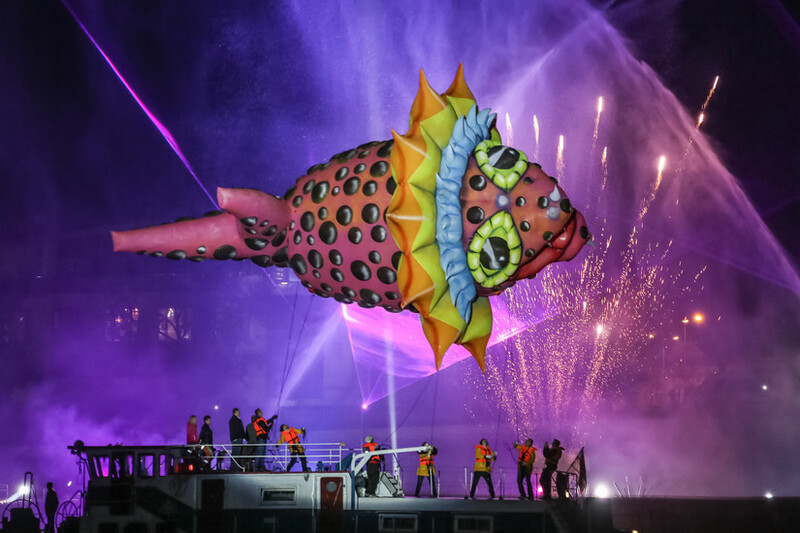 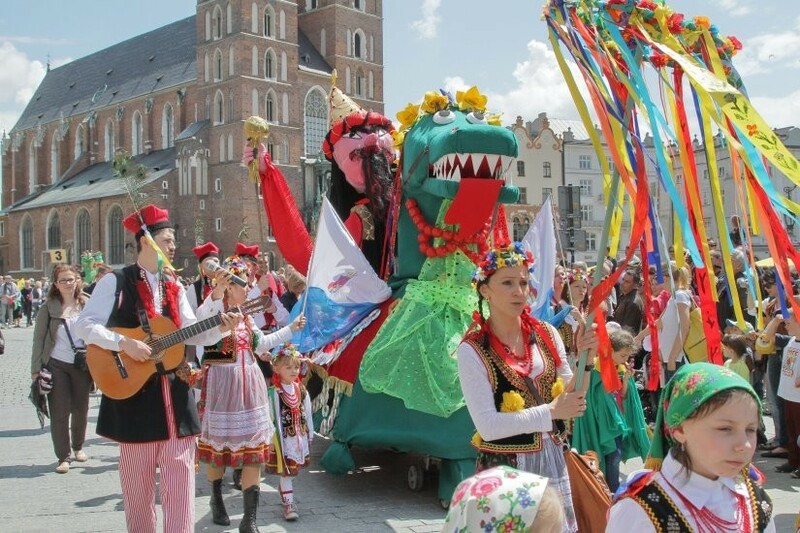 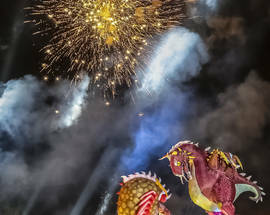 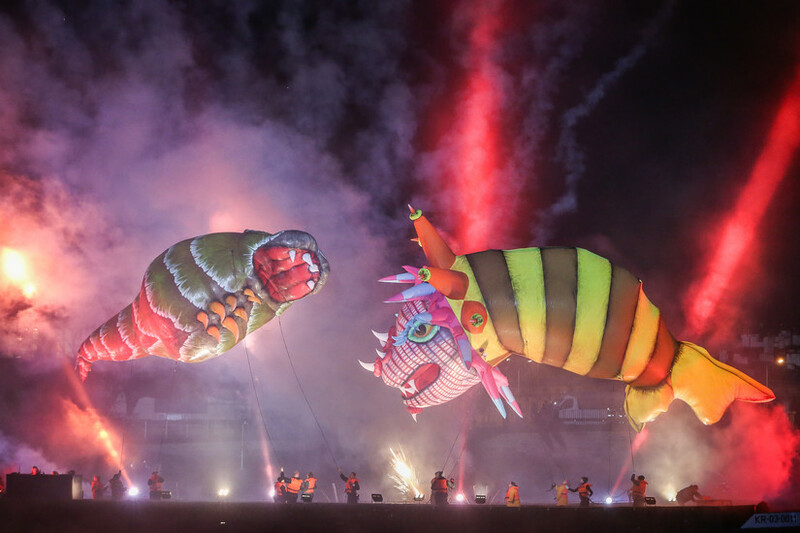 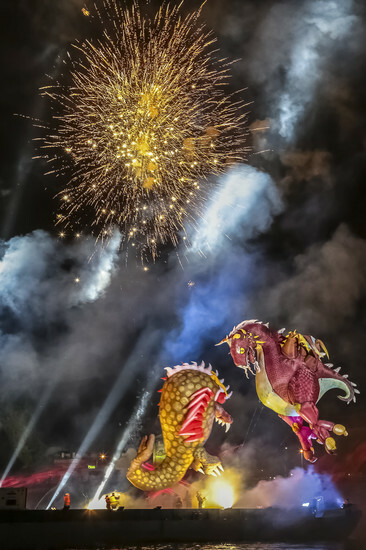 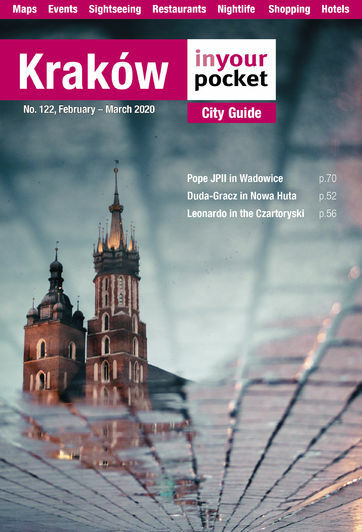 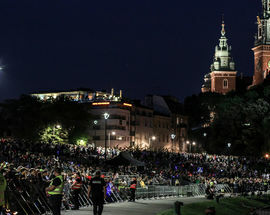 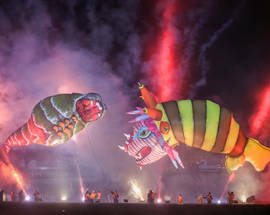 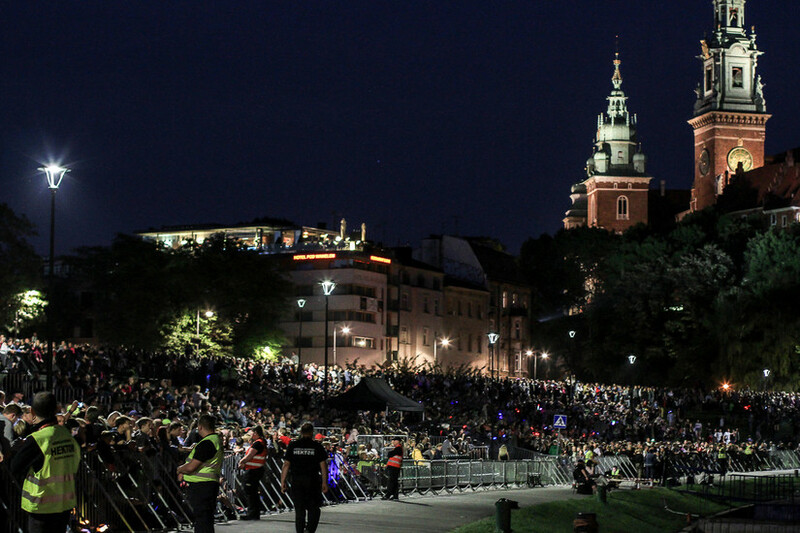 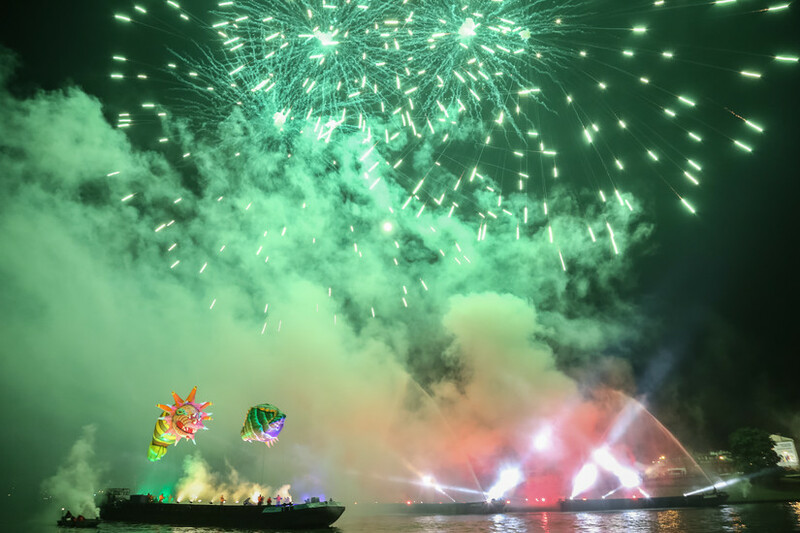 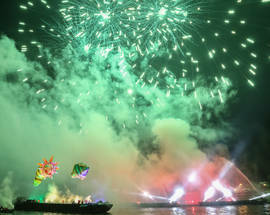 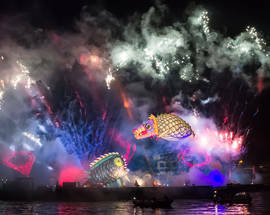 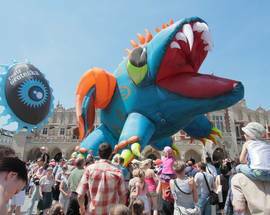 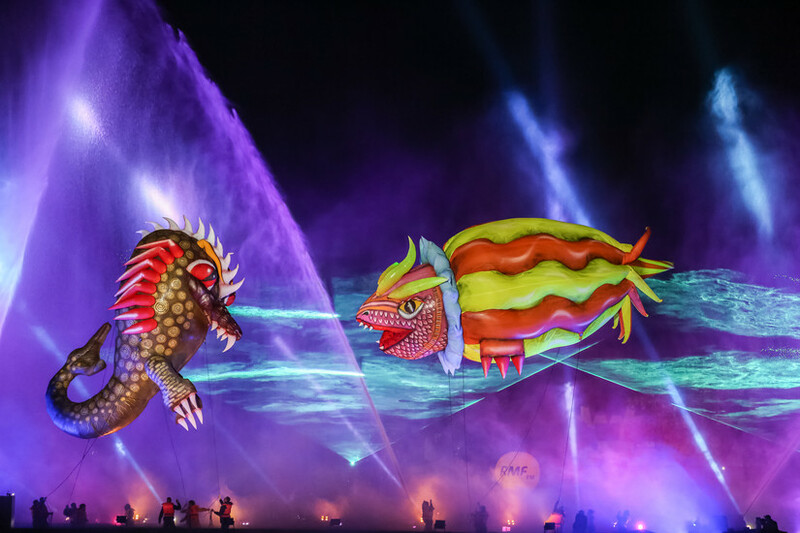 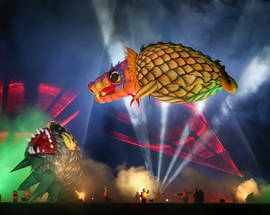 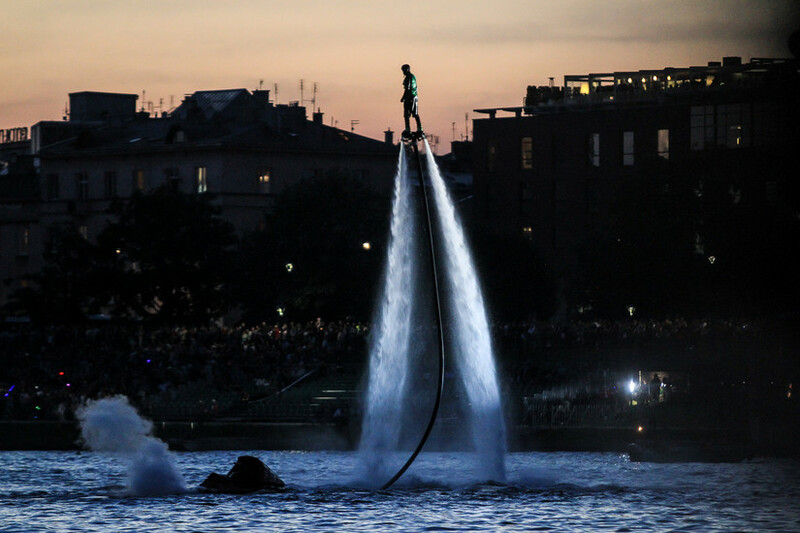 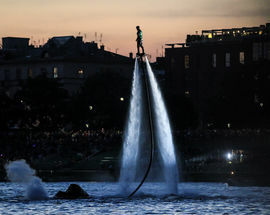 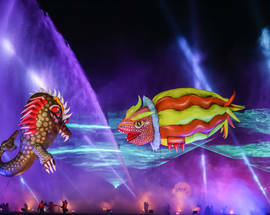 The accompanying events are: the light and sound spectacle on Saturday night, kids' parade on Sunday and a weekend long family picnic on the Vistula river boulevards.